Wimbledon Tennis Stars In The Making! 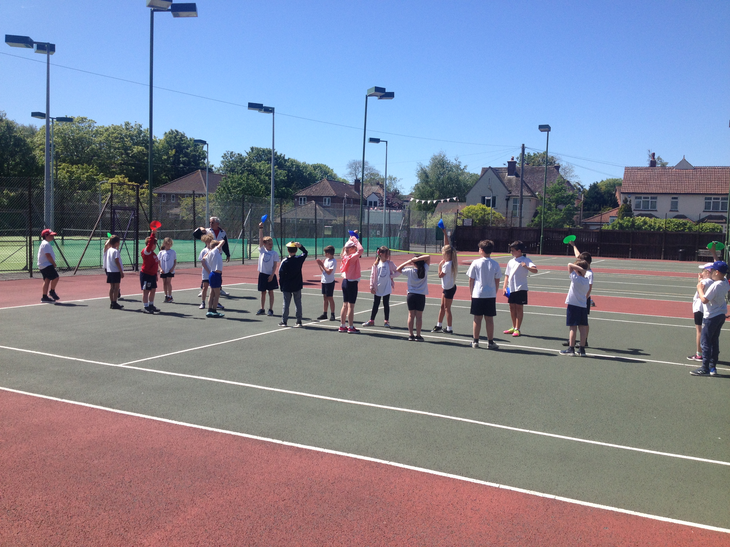 This afternoon our Year 3-4 Tennis player competed in a local Tennis competition held at The Avenue Tennis Club, Burnham-on-Sea. The squad of 16 girls and boys who have been refining their skills in an after school club run by Mr Fisher got to pitch their talents against each other as well as other children from surrounding schools. It was great to see the children playing with such enthusiasm and determination in a competitive situation and everyone seemed to enjoy the experience of each game, whether they won, drew or lost! 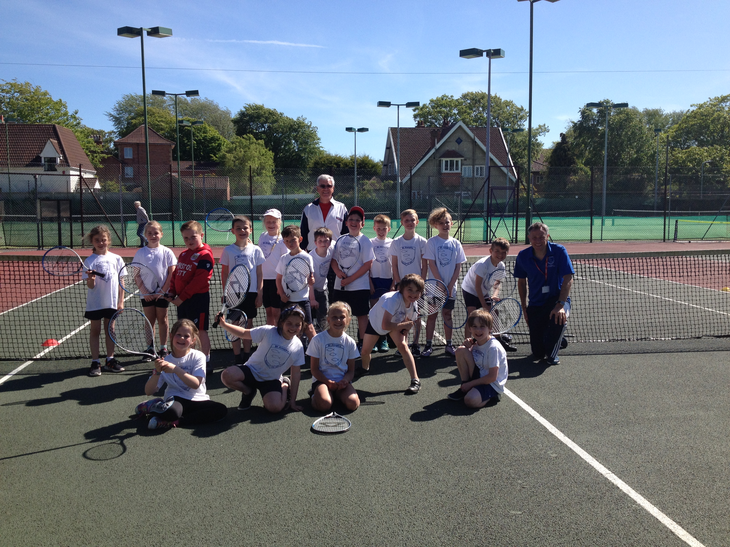 The weather was beautiful and Barry from the Tennis Club itself was a superstar ensuring that all the children had a good time. And who knows - Maybe the next Wimbledon superstar will come from St Joseph's!!!! !